It was Round 10 and South Adelaide registered their seventh win of the season after taking down a plucky Roosters outfit by 31 points at Hickinbotham Oval. 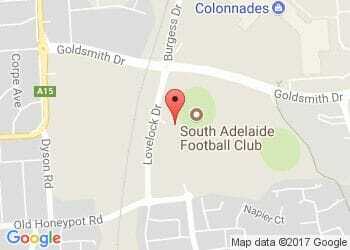 The win helped the Panthers extended their unbeaten run at Noarlunga to six games and took their season tally to 7-2. Brad Gotch's men got off to a sluggish start, conceding the first three goals to the visitors before two late goals to Brett Eddy closed the gap to three points at quarter time. Eddy was again one of the catalysts that helped spark the Panthers into life, proving unstoppable up forward with seven goals from his 11 touches and six marks. Through the final three quarters the Panthers looked reminiscent of the team that won their first six games of the season. 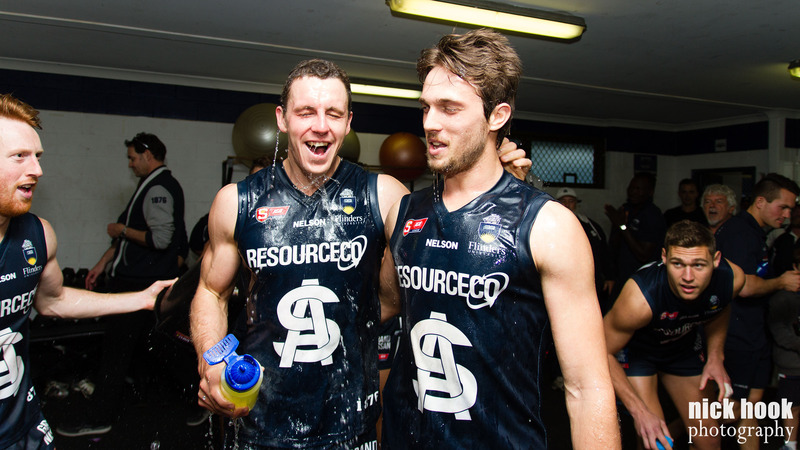 They piled on 13.5 to 7.7 in that time, thanks in large part to the play of Eddy and second half goals from Josh Trembath, and despite an arm wrestle of a fourth quarter the result never looked in doubt. Centurion Jake Veide put the finishing touches on the win, kicking the Panthers' final goal deep into the fourth quarter before being swamped by his teammates. In a fitting finish, the hard-working clubman affectionately known as "The Robot" found the footy in his hands as the final siren sounded on his 100th appearance for the Panthers. The Panthers dominated the clearance game (+13) as well as the battle to get the ball inside 50 (+16). Besides the first quarter burst from the Roosters, South were able to control the game and they will be hoping to do the same against currently ninth placed North. This week saw the return of Nick Schwarz to the league side after a knee injury which forced him out for a week, before a monster return through the twos (40 touches and two goals). Nick was a strong contributor against Sturt and another strong piece that the Panthers can add to their lineup. After Round 18 there a several minor injury concerns, Jake Veide (knee) will be tested this week after pulling up sore after the match. Sam Overall (groin) and Codey Ellison (knee) were both late exclusions from the game on the weekend and will be tested his week to see if they are available. Despite this the Panthers are enjoying a relatively clean stretch in terms of health and hence have a long list of players who are vying for the limited spots in the league side. The Roosters are also boasting a relatively clean bill of health, with veteran Cohen Thiele their only veteran long term absentee at this point in the season and centurion Joe Anderson (hip - test) and Cameron Craig (hamstring - TBA) their only other concerns. Advantage Panthers: South hold the advantage on paper over North in many categories this season. The Panthers are in good form as they reach the pointy end of the season. They have won their last three games by strong margins, most significantly defeating then second placed Sturt by 49 points at home in Round 19. They remain undefeated at Hickinbotham Oval. 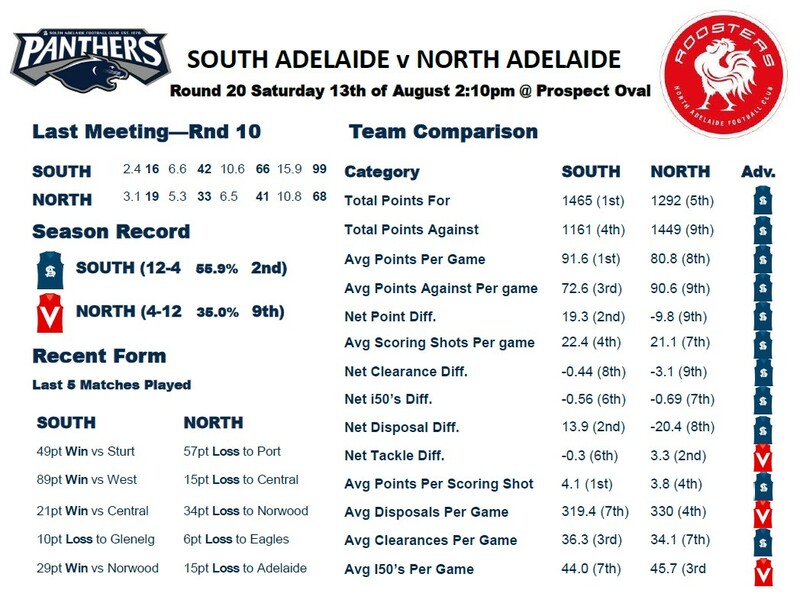 However, this week they are heading to Prospect Oval to face North Adelaide in what is an opportunity to lock down a top-two finish and hopefully gain an advantaged spot for September. The Roosters season has had a different tone to that of the Panther's, having won only four of their contests and being unable to notch a win in recent weeks. The Roosters are approaching Round 19 after a 57 point loss to Port Adelaide and on the back of six consecutive losses. The Panthers look likely to maintain their position in the top 3, meaning they will have a second chance under their belts come September action. Although with top spot and the advantages that come with it still up for grabs, South will be eager to finish the minor rounds strong and take every premiership point that they can. With the Roosters sitting near the other end of the ladder the Panthers look to have a strong advantage going into Round 19. Key areas for South to be aware of are North's tackling strength and ability heading forward once when they do win the ball. The Rooster have proven to be one of the most aggressive tackling sides with an average differential of +3.3 against opponents, ranking them second in the league. They are also prolific at getting the ball into an attacking position averaging 45.7 inside 50's per game (third in the league). This season the Panthers have been able to stifle opposing sides and use the ball well without needing to win a ton of it. Despite only being ranked seventh in average disposals per game they are second in disposal differential with an average of +13.9. This proves that the Panthers are able to control the game against any side, limiting opposition touches and playing defensively all around the ground. No team should be overlooked and the Panthers will need to bring their A-game if they hope get the win away from home. However, a strong win against the Roosters would help build momentum ready to roll into September. The Panthers will also be helping Cam Hitchcock celerate his 50 SANFL game. The elusive forward/midfielder has played 11 games for South Adelaide after having previously spent time at Glenelg and Port Adelaide Magpies during his time on Port Adelaide Powers AFL list. Having secured a spot in the Finals make sure you get out to support the boys as they attempt to prepare for their finals campaign.